A new study reveals an unexpected way through which a forest ecosystem is interconnected — and the consequences aren’t exactly clear. While mankind’s influence affects all parts of ecosystems, large predators are disproportionately affected. Some 77% of large predator populations are declining, and over half of them have had their historical ranges reduced by 50% or more. Proportionately, the number of herbivore critters has increased and is, in turn, further shaping ecosystems. For instance, in many temperate forests, the decline of wolf populations has provided a massive boon to deer, and deer are increasingly shaping how forests develop — especially by reducing abundance and diversity of understory shrubs and trees which they feed on. Now, researchers have found another effect deer are having on forests: they’re changing the acoustics. To study this effect, researchers in North America compared two types of plots: one that had been fenced off to exclude deer, and one that was left open as normal. They played recorded songbird tones and trills, comparing the acoustic quality of the two types of plots. They examined the fidelity, amplitude, and attenuation of the sounds. They found that overall, deer-browsed plots had greater sound fidelity and less attenuation than non-deer plots, though there was no significant difference in amplitude. In other words, when deer are around, birds are able to transmit their sounds more effectively and clearly — which could have both positive and negative consequences. They make themselves heard much more easily to potential mates as well as unwanted receivers, such as predators. According to previous studies, white‐tailed deer have increased in abundance and expanded their geographic range in North America over the past century. They now exist at higher densities than they have in the past several hundred years. This has been shown to reduce the number and distribution of songbirds, largely through ecological effects — now, scientists have also found an acoustic effect through which deer affect birds, though its effects are not fully understood yet. 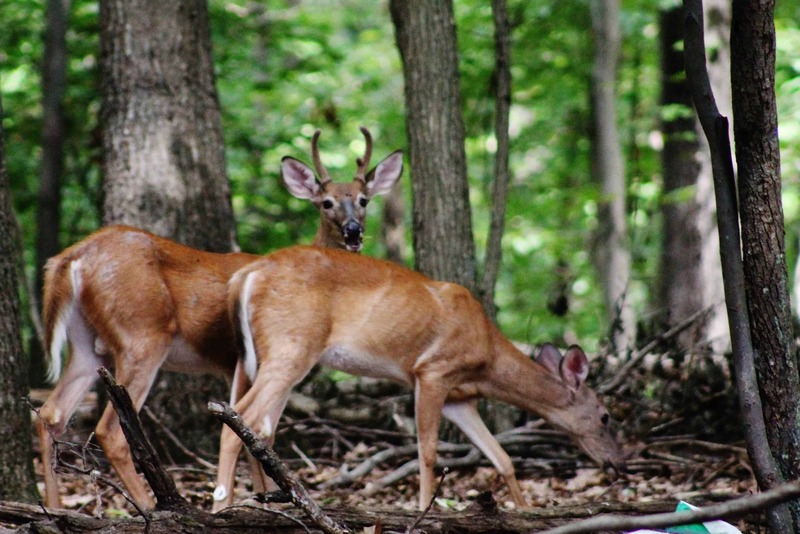 “While we know quite a lot about the effects of deer browsing on vegetation and we know quite a lot about the effects of vegetation on sound propagation, the two had never been linked. Here we’re looking beyond traditional deer browsing ecology and asking how deer might be influencing the communication space for animals,” said corresponding author Megan Gall. For now, the study only focused on distances of up to 11 meters. Further research is needed to understand the effects at greater distances, as well as the ecological consequences of this acoustic effect.